Unprecedented pressures are shaping Generation Z. 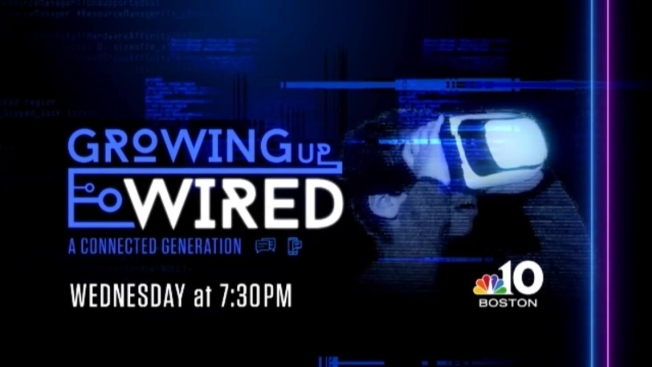 Watch "Growing Up Wired" Wednesday at 7:30 p.m. on NBC10 Boston. NBC10 Boston will air a half-hour special, “Growing Up Wired: A Connected Generation” on Wednesday, May 23 at 7:30 p.m. The program will focus on the increasing pressures facing today’s young people and the role digital and social media may play on their growth, development, and ability to build resilience. Anxiety is the most common mental-health disorder in the United States, affecting nearly one-third of both adolescents and adults, according to the National Institute of Mental Health. But unlike depression, anxiety is often seen as a less serious problem. Generation Z, (those born between 1995-2007) has been reported by the Center for Disease Control and Prevention to be 17 percent more anxious than previous generations. “Growing Up Wired: A Connected Generation” gives an in-depth look at why that is. “Growing Up Wired: A Connected Generation” also features local teens and their parents who openly discuss how their struggles with anxiety are exacerbated by the use of social media. They discuss how digital influence has affected their school work, relationships and self-worth. “Growing Up Wired: A Connected Generation” talks to several highly respected doctors and treatment facilities in our community and delivers information and resources to help teens manage their anxiety. Viewers can watch “Growing Up Wired: A Connected Generation” on Wednesday, May 23 at 7:30 p.m. on NBC10 Boston, Thursday, May 24 at 8 p.m. on necn and for our Spanish speaking community, on Sunday, June 3 at 6 p.m. on Telemundo Boston.